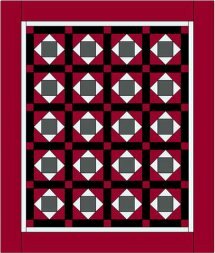 To download Our FREE quilt pattern AQP | Amish Quilt Pattern you will need the latest version of Adobe Reader to open and read this PDF file. Our FREE quilt pattern AQP | amish quilt pattern was designed using EQ7 software and is an easy quilt pattern to try no matter if you are a beginner quilter or an experienced quilter. You will find all the necessary instructions & templates that are unique for this block, to complete a full size quilt plus a picture of the quilt. This is truly a gift that keeps on giving! Receiving any of the free easy quilt patterns or mini-books is easy! 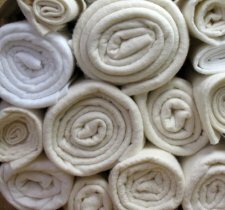 Just sign up for our newsletter, "Quilting Tidbits," by supplying your first name only and email address. We are also proud of a growing collection of additional easy quilt patterns that we create using the EQ7 software. If you have a special pattern that you would like us to create for a nominal fee contact us with the name. Please come back and share your success story whether it is making this Amish quilt pattern or using any of the other quilt designs or mini books. This Free Quilt Pattern AQP Amish Quilt Pattern is an easy quilt design is a single block repeated over and over until you achieve the size you want. This is the best way to learn too! Some just make a wall hanging, others use it for a small child and others use it to create a full quilt. Pattern Of Month - this quilt changes each month, so click on POM to see the currently featured quilt! Stars for the very BEST! Let's see you solve this puzzle..